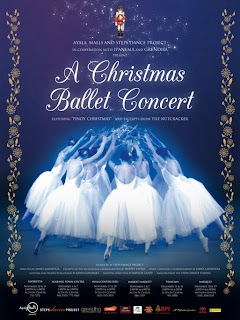 We watched “A Christmas Ballet Concert” at the Glorietta Activity Center this afternoon. This show was presented by Ayala Malls and Steps Dance Project in cooperation with Ipanema and Grendha. 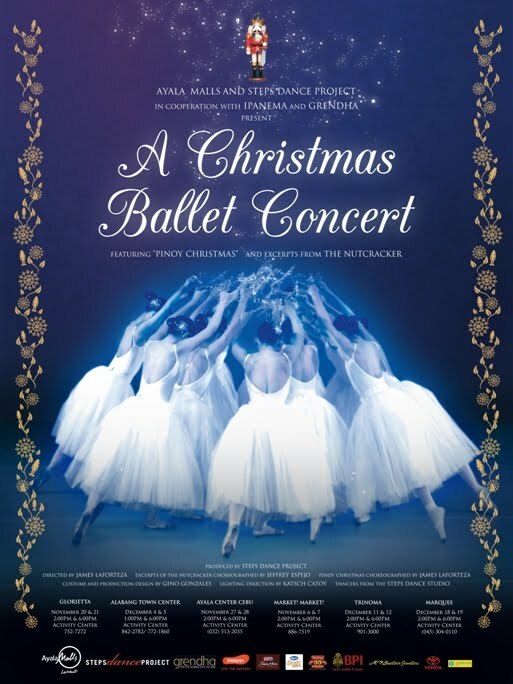 This ballet concert featured “Pinoy Christmas” and excerpts from the classic Christmas tale The Nutcracker. Storytelling of The Nutcracker began at a few minutes past 1pm, and the ballet concert officially began at 2pm. We enjoyed watching the ballet concert, I particularly, because all I did was watch; hubby was the official photographer, that’s why. Nope, we didn’t need scopes because we had a good view of the show from where we were seated. My son also had a blast running after the girl that served cheese and hotdog on sticks to the guests. Michelle and her kids were also there, and that made watching the ballet concert doubly fun. Thanks again, Cel, for inviting us! This was indeed an early Christmas gift! This entry was posted in A Christmas Ballet Concert, Ayala Malls, Christmas, Glorietta Activity Center, Grendha, Ipanema, Steps Dance Project. Bookmark the permalink. waah dumaan ako jan kanina, yan pala ung nakita namin ahaha wat time natapos? Sayang Peh, sana nanuod ka na rin! we were there until 3 pm. Beautiful pictures ate, nice event. Thanks for posting this. I am going to be bringing my kids to watch this with me upon Cel's invitation, too. But we chose to watch at a later date. Hi Tetcha, nice blog & good photos. overall You have beautifully maintained it, you must submit your site for free in this website which really helps to increase your traffic. hope u have a wonderful day & awaiting for more new post. Keep Blogging! I was glad that we were able to catch this at Alabang Town Center on December 4! 😀 will blog about it soon! ooh, indeed beautiful. i wish i can attend events like this too. ← Mommy Moments: So Little!